Technically, a miscarriage is the loss of a pregnancy before 20 weeks along, when the baby is unable to survive outside the mother’s womb. 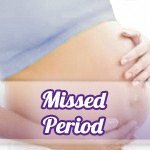 The majority of miscarriages happen during the first trimester (or before the 12th week of pregnancy). Once the baby’s heart beat has been detected, the chance of miscarriage drops to less than 5% in that pregnancy. Many miscarriages occur before a woman even knows she is pregnant and approximately 20- 25% of all known pregnancies end in miscarriage, making it a frighteningly common occurrence. As common as miscarriage is, it doesn’t make a pregnancy loss any easier to handle. A miscarriage can be an intensely sad experience and extremely devastating for both parents; quite possibly the most devastating event in a couple’s life. Women (as well as their partners) often suffer severe grief, along with additional suffering that is not necessarily present with other types of loss. It doesn’t matter how far along the woman was at the time of her miscarriage, since most women grieve as much over the loss of a baby in the first several weeks of pregnancy as they do for a baby that was stillborn or has died after birth. The length of the pregnancy is not what determines the depth of the grief experienced, but the strength of the bond between mother and baby. Talking with others who’ve had a miscarriage may be helpful and comforting, as they understand the feelings and emotions you are going through. Reaching out to mothers who are also grieving can help you heal your own wounds and be extremely valuable to those who can relate most to your experiences. Miscarriage support groups are something you may want to look into. Even if you don’t feel like talking to people you don’t know, listening to the grief experienced by others can help you feel less isolated and alone. Talk with your partner, family and friends about your feelings to release bottled-up emotions. Allow them to share your grief and offer support. They can be a great source of strength during this time. Counseling may be beneficial for you and your partner. Your doctor may be able to refer you to a counselor who has experience in dealing with miscarriages. Doing special things to remember your baby may help, like gathering and keeping mementos in a scrapbook such as ultrasound pictures (if you received some), sympathy cards or pressed flowers that people gave you and poems or letters you wrote to your baby. Naming your baby may also be a good way of keeping your baby’s memory alive (even if you weren’t aware of the gender), if you feel comfortable doing so. Whether you share your baby’s name with others or just keep it to yourself is a very individual choice. 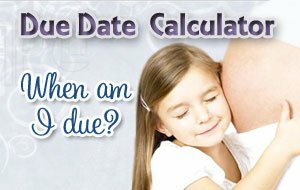 You can plant a tree, rose bush or other symbol of life in memory of your baby, make a donation to your local hospital or charity, donate a book to your local library and even wear your baby’s birthstone in a special piece of jewelry (such as a ring) or a charm with special meaning around your neck. Read books, articles and poems about miscarriage and loss that provide understanding and comfort so you don’t feel so alone. Holding a small memorial gathering for your baby may be beneficial to you and may help provide closure. By recognizing this baby as your child publicly can be a very important part of the healing process. A memorial service also allows friends and family the chance to express their love and support for you. You can design and send announcements of your baby’s short life, which will recognize your baby’s life no matter how brief it was. In addition, sending announcements may be easier than telling everyone the sad news in person. It is a good idea for you to be prepared emotionally, before attempting to become pregnant again, following a miscarriage. Be patient and deal with your loss in your own way at your own pace. It’s important for you to mourn your loss before embarking on a new pregnancy. Once you’ve had some time to grieve and you are both physically and emotionally ready (and you’ve gotten your doctor’s approval), there’s no reason why you should wait any longer. Couples who were infertile or waited a long time before becoming pregnant may feel an urgency to try again, particularly if they are in their 30s. Only you and your partner truly know how long you need before you are ready for the ups and downs of trying to conceive once again. Medically speaking, some doctors may say it’s safe to conceive after one normal menstrual cycle (if you’re not undergoing tests and treatments for the cause of your miscarriage), while other doctors may say 3-6 months if you were farther along or you had a D&C. The majority of women who’ve had a miscarriage go on to have a normal, successful pregnancy the next time, as do 60- 70% of women who’ve experienced two or three in a row.